Technology transfer is the inevitable consequence of any R&D effort and the compelling prerequisite of any effort of innovating. Building capacity in technology transfer is a synonym of open innovation on both sides of the technology market. We believe that technology transfer is first and foremost a matter of skills, competences, and cultures. This is why we try as much as we can to make sure capacity building remains high priority in the agenda of institutions and people that deal with technology transfer. MITO is committed at improving the capacity of individuals, institutions and companies to handle intellectual property and bring technology safely and effectively from labs to markets. We do it in a number of ways: through funded projects, by offering IT tools that allow a more convenient and strategic IP management, and by sharing our skills, processes, tools and metrics. MITO has been involved (as coordinator and partners) in several projects about capacity building in technology transfer. We have been coordinator of ProgressTT, the largest capacity building action by the European Commission under Horizon 2020 to support the growth of high potential technology transfer organizations across Europe. Subsequently, we have been involved in EU4Tech, a project from DG Regio, aimed at increasing the capacity of TTOs in the Western Balkans. Most recently, we became coordinator of Go-Ga, together with Cc-Hub in Nigeria, a DG Connect funded initiative to adapt and implement the successful Go-Lab Learning Ecosystem in Africa. We have learned that capacity building is so much more than just training, that we launched a digital platform to share whatever is needed to ensure institutions and firms increase their ability to transfer and acquire technology and turn research results into business opportunity. We have a digital presence in a digital platform we contributed to launch: the Tech Transfer Toolbox. Stay tuned for learning materials, updates, templates and initiatives on technology transfer. 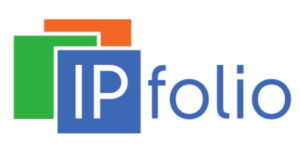 MITO is the exclusive reseller of IPfolio for Italy. IPfolio makes intellectual property management easier. It is modern, cloud-based, secure, affordable, and easy to get started. Built and hosted on the secure platform of enterprise cloud computing pioneer Salesforce.com, IPfolio is a collaborative and easy-to-use suite of online software for IP portfolio management through each lifecycle stage. Developed specifically for businesses, not law firms, IPfolio’s unique strengths lie in managing IP as a business asset. IPfolio allows you to map inventions to your company’s technology fields and products, manage cost and contracts, keep track of relevant third party IP, and to get business insight through easy-to-use reports and dashboards. IPfolio incorporates features that allow you to effectively collaborate on IP matters across department boundaries. Enterprise Social Network technology supports a collaborative approach to IP review and decision-making beyond the core IP department, with R&D and product management actively involved in the process. Addressing an even larger audience within your organization, the Inventors’ Portal enables engineers and scientists to write up and submit their invention disclosures online through a modern, web-based interface. The flexibility of the underlying platform makes it very easy to fully customize your IPfolio system. Typical examples include custom scorecards for evaluating inventions, custom business unit or technology categorizations, and custom workflows, e.g. for approvals. Unlike most docketing systems, IPfolio has document management (including full-text search across all documents) and email capability integrated and can therefore act as a central hub for all information and communication around your IP activities. IPfolio customers around the globe range from mid- and late-stage startups with just a few patents, to mid-sized private companies with a few hundred patents and trademarks, to large public companies with several thousand IP assets, as well as universities, R&D centers, and innovation-oriented law firms.